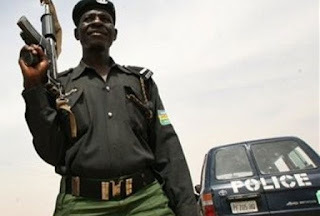 Two Germans who were kidnapped in Kaduna State have been released unharmed, according to police. The German archaeologists, Peter Breunig, a professor, and Johannes Behringer were released by their captors on Saturday evening near the city of Kaduna, a police source told Premium Times. “Yes, they were released last night (Saturday) by their kidnappers. No ransom was paid,” a senior police officer said in Kaduna. Also confirming their release, senior officials at the police headquarters in Abuja revealed that investigations are ongoing to arrest the kidnappers. On Wednesday, the Germans were kidnapped in Jenjela village, Kagarko emirate of Kagargo Local Government Area of Kaduna State. The two archaeologists were working about 150 kilometers (93 miles) south of Kaduna, studying the ancient Nok culture, when they were attacked, police said. While attempting to foil the abduction, two local hunters were killed in the process. The kidnappers later demanded N60 million as ransom, while the police deployed special forces and aerial surveillance to secure their release.